“Someday, somewhere” is a dangerous game. The real stuff of life is here and now. want to attend or host a meet-up? In the spirit of being surrounded + meeting one another in community, we are empowering you to host your own "honesty hours" and meet-ups all over the country! Want to meet people and have real conversation about the stuff that matters? RSVP to an event below or be brave + host your own. We will load you up with all the information you need to host a stellar meet-up for your community! i want to host an honesty hour! 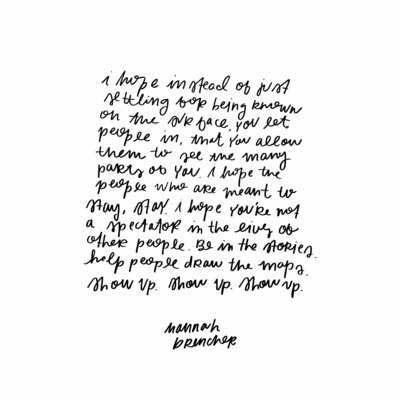 a digital copy of "first, be a follower: a 15-session bible study about following jesus in a follower-obsessed culture"
In a culture where moving and shaking and hurriedly going are praised, Hannah Brencher calls us to the harder work of staying and anchoring. Raw, relatable and open-hearted, Come Matter Here will help you answer the questions of purpose, belonging and identity with the compassion and humor of a best friend. carlos whittaker, author of "kill the spider"
Come Matter Here is a truth bomb dropped into a society that has no idea how bad it needs this declaration. Hannah has crafted, beautifully and humbly, a message of calm in the chaos. Like an inhaler to an asthmatic, Come Matter Here is the breath we all need. "For the searchers, the wanderers, the hopers and somedayers: here, a roadmap." Words can be wings or weights. Hannah has given her readers words to lift us up and give us a space to think, but more importantly, a space to belong. With simple yet profound truths, Hannah vulnerably takes us on her personal journey while encouraging us to discover our own. I cannot wait to share this book with my friends. 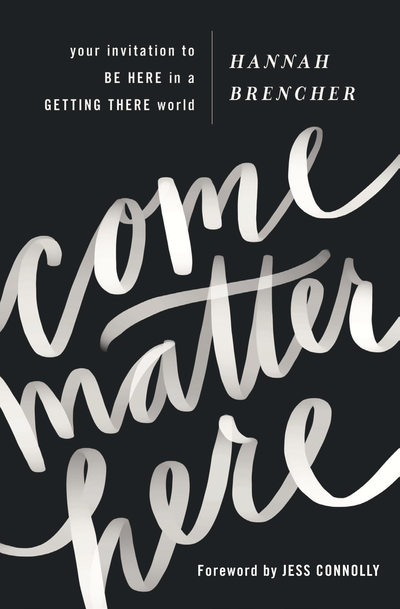 "I’m grateful for the powerful message Hannah shares in Come Matter Here. This book masterfully encourages us to stop chasing a level of success, happiness, or a single moment to finally believe we matter. Hannah is not only an exceptional writer, but she truly lives out this message. She makes every person she meets feel known, accepted, and as though they were made for more right where they are. Well done!" 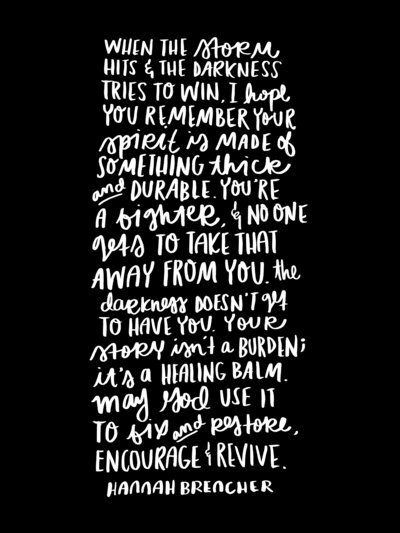 By vulnerably inviting her community into her darkest moments, Hannah inspires me to do the same with my own life and reminds me that's there's so much beauty in letting people in. Come Matter Here is a triumph of truth over lies and healing over pain. 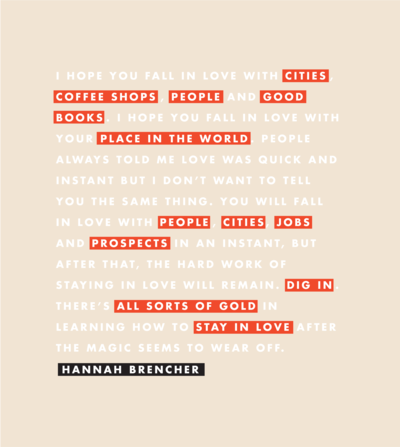 The world is a better place because Hannah Brencher is in it and this book is absolutely brilliant. You will love Come Matter Here and never be the same after reading it. This book is a wakeup call—to stop waiting for future fulfillment, to stop striving for someday, and to dig deep into the moments that matter. 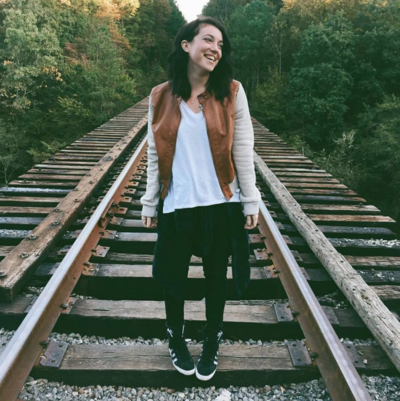 Hannah's stories have a way of taking you by the hand and guiding you towards your truth. Mary Marantz, writer, speaker, entrepreneur, and CEO of Black Tie Media. I can't believe this honor I have of bringing my second book out into the world. I am the founder of More Love Letters. My first book is called "If You Find This Letter" and it is available in the United States, Russia & Germany. I gave a TED Talk once and it flipped my world upside down. Now I spend my days writing books & speaking around the country! My heart is to build leaders while sharing stories of how God walks with me daily as I walk through depression & life. Work is the biggest passion of mine but I love to unwind with true crime shows and extreme workouts with my husband Lane. I call Atlanta, Georgia my home.